RC1 has been released. But before the whole network gets the update email, I would like the regulars to have a play. This news post will be followed shortly by another detailing the launch of the forum, tournements and help sections. Until then, you're on your own - but remember THE PORTS HAVE CHANGED to 34518 and 34519 BOTH UDP. * Status rewrite - you can now tell who is hosting / looking. * Room Ping / Player Ping. * Add to contacts from rooms. * Email offline players (Without exposing email address). * New ports 34518 and 34519 (Enabling FastWeb players to play). * Help pages (At last). * XBoxName shown in user list. * Complete support for all recent games (Brute Force etc.). * VoiceStream improvements in rooms mode. * More friendly error messages. * Log straight into website. * Support for Inktomi / Transparent proxies. * Chooseable bandwidth for progress bars. Deep within the mysterious land of Transylvania, monsters that inhabit man's deepest nightmares take form. 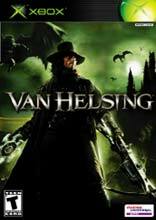 One man works to vanquish the demons of the world and destroy the lethal and powerful Count D..